As CIOs lead the drive towards digitalisation of the organisation, the need to rethink differently about how they manage the changing mix of strategic IT suppliers. CIOs applying bi-modal IT to delivering technology infrastructure are also urged to look at this concept in the way they work with their suppliers. The growing importance of technology suppliers and proliferation of smaller “digital” suppliers means organisations need to think differently about how they evaluate and select suppliers, says Rolf Jester, IT services business advisor for ITNewcom, a technology advisory and benchmarking firm working with organisations across the Asia Pacific. Gartner defines bi-modal as the practice of managing two separate coherent modes of delivering IT. Mode 1 is traditional and sequential, emphasising safety and accuracy. Mode 2 is exploratory and non-linear stressing on agility and speed. He says taking a bimodal perspective to their technology sourcing is important as more CIOs are leading the drive towards the digitalisation of the business. One of the ways CIOs are responding to this is the way they have been thinking about their IT suppliers. “Think bimodally how you approach your external services providers,” he advises. The traditional track record reference checks will still happen but you have to think about how good they are with working with the more innovative, small startup operators out there in the marketplace, says Jester. 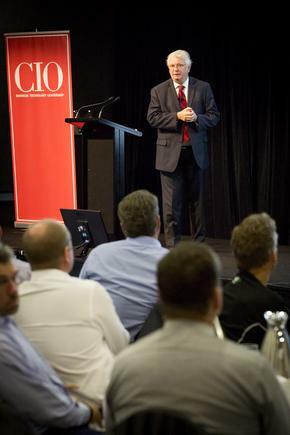 He says ITNewcom research finds a high proportion of CIOs now focusing on “real business initiatives”. These include engagement with customers on the digital offering they are taking to market and the digitalisation of the distribution organisations. “These are the things that make a real difference to what the business actually does,” he says. “These include changes in the business, entering new markets, acquiring new businesses, and moving to new geographies. “It is no longer just about succeeding as an IT organisation,” he says. “This now determines how successful you will be as a business because you are working on things that directly create the value." Jester says amidst the classic sourcing management strategies, organisations are beginning to think about the more agile development of new business models. “The partners you are working with are new and less experienced. You are going to need theClick here for an excerpt from the ITNewcom Research referenced in the above editorial.” traditional model of sourcing for operational aspects, and bimodal on one hand, a partnership type, a flexible type of model for the more digital business initiatives. “Less contract, more partnership, more business outcomes focused, and high risk means you have to manage them more closely and be prepared to take some new challenges. You are going to need the traditional model of sourcing for operational aspects, and bimodal on one hand, a partnership type, a flexible type of model for the more digital business initiatives. He says these organisations, which include startups, are not necessarily mature in terms of their services engagement and more work will be required to engage with them. These tech suppliers continue to be primarily transaction-focused, he says. “Niche, small, start-up suppliers can be commercially immature and find working within a larger organisation challenging,” he notes. The Tier 2 services are typically local, more medium sized and are perceived by CIOs to be more responsible, according to ITNewcom’s research. They are more able to work with easily in many cases, whether true or not, that is the perception, he says. “The large consultancies have all acquired digital consultancies to help them and help you with those kinds of services. “You should be evaluating how these acquisitions have shaped,” he says. The state of Tier 1 digital acquisitions after 12 to 24 months will give you a good indication, he says. “Focus reference calls on the supplier's part in managing relationships with smaller or specialist suppliers. Think differently about how you approach these challenges, he adds. “Collaboration” type clauses in contracts are a blunt instrument you can use, he states. Some of the areas CIOs need to think about are around how governance needs to adapt to recognise different types of suppliers. “The supplier mix will be dynamic, the customer culture is the constant and sets the playing field,” he states. Have a conversation with your legal department or adviser because a contract for some of these suppliers may be completely different from the classic outsourcing, operational sourcing contracts, he says. 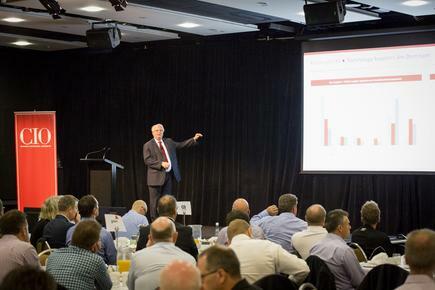 Rolf Jester spoke on 'managing the changing mix of strategic IT suppliers' at the 2016 CIO100 events in Auckland and Wellington. 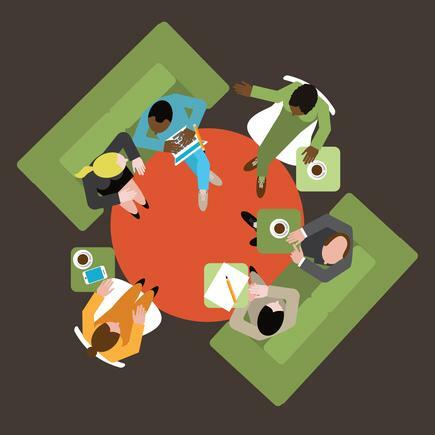 Read excerpts from the ITNewcom research presented at the CIO100 event.